Thanks to our large pool of experts we are able to provide a comprehensive range of services. During the different phases of each projects, our specialized departments implement a regular exchange of information, in order to detect problems as early as possible and moreover, to quickly develop the best solutions. Having such principals implemented in construction projects is rather rare, but many of our customers have confirmed, that we really achieved it. Taking into consideration technical, administrative, legal and other aspects. Optimization of plot layout considering production, logistical and utility aspects. Translating our client’s requirements into a design focusing on functionality, efficiency and state-of-the-art architecture. Upgrading facilities as per changed user requirements. Detailed planning of processes, sequences, etc. 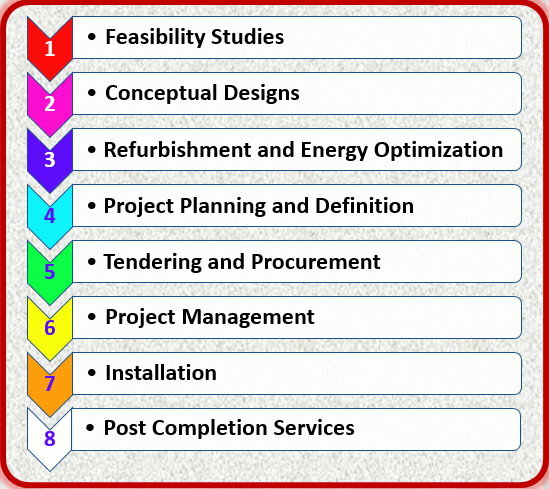 based on our profound know-how of construction projects in China. Fully adhering to international compliance standards. With highly qualified teams of construction professionals, full-time assigned to the project, daily reporting, making sure project is realized in perfect quality, time frame and budget. Depending on the type, size, and location of the projects, we are able to execute the installation / construction with our own team. Especially in more complex projects such as clean-rooms or LEED Certification, a lot of administrative work must be carried out, also in order to receiving the final Property Certificate.